Home SC Life SC Life Features Don't try this at home! Ed Currie is the president of the Puckerbutt Pepper Company in Fort Mill. He holds a Guinness World Record for his Carolina Reaper, the world's hottest pepper. 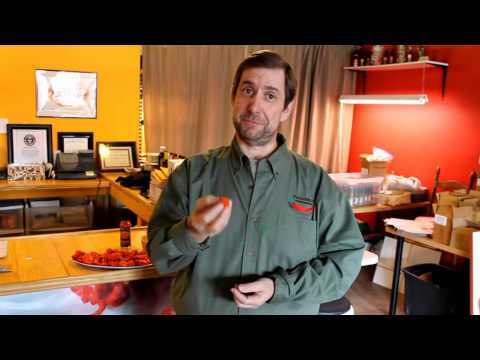 In this video, Ed shows us what happens when you try a pepper that's 300 times hotter than a jalapeno. Violent reactions to the world’s hottest pepper are common, Currie says, and he advises against eating whole pods if you aren’t experienced with superhot peppers. “Everybody who has tried to eat one of these who is not used to eating superhot peppers has rejected it immediately and been afoul for a good 24 hours,” he warns. Ed Currie takes a bite out of his own pepper.